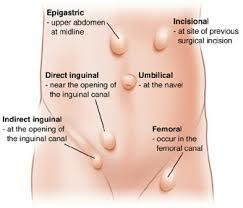 General objective of this article is to discuss on new Surgical Treatment Options for Hernias. Only doctors can properly diagnose and appropriately treat hernias. Even so, patients have the right to actively participate in judgements that affect their health or quality of life. Information about the various therapies that are currently available can play an essential part in the discussions between patients and their physicians the best surgical treatment option for them.